Okay, so we all know that the AEC and/or AECOM industry is notoriously unproductive and that our lack of applied robust processes and supporting technology are largely tobblame. We tend to reinvent the wheel, and to date have not embraced open communication or transparency. 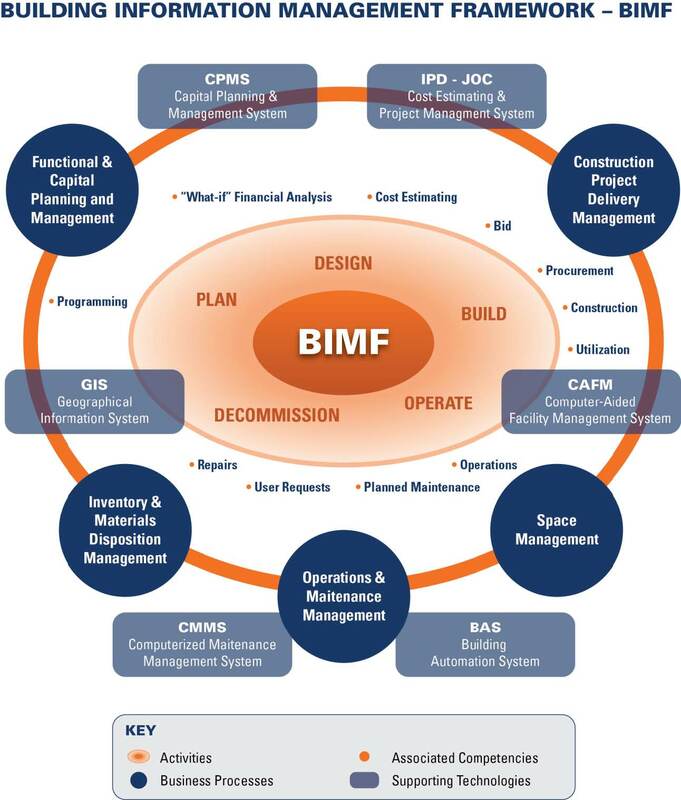 BIM holds the promise to alter the “status quo” if process and technology are embraced as requisitie elements and facility/infrastructure construction and management information is gathered and maintained in a standardized manner to enable better decisionmaking. 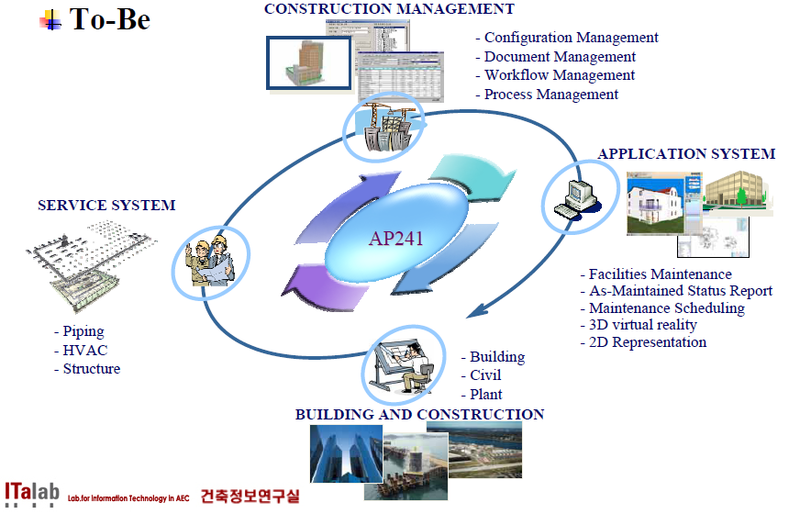 The following graphic, shown before, illustrated the competencies and technologies that are invovled in life-cycle facility management, while the following discussion and attached paper deal with the issue of standardized information technology aspects. 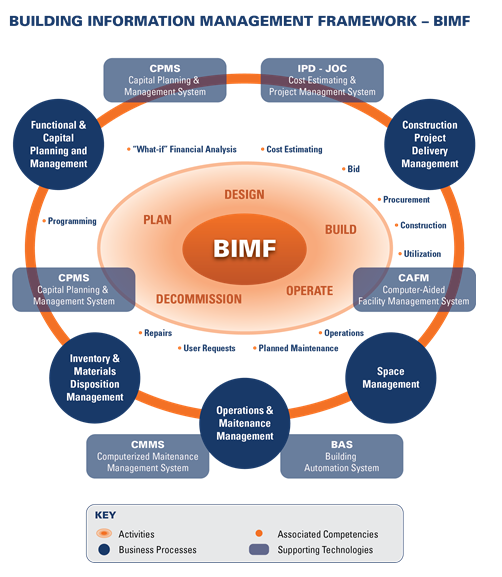 Standardized facilty infomation-costs, scheduled, designs, component descriptions-is required to support better communcation, collaboration, and higher productivity within the AEC/AECOM sectors. 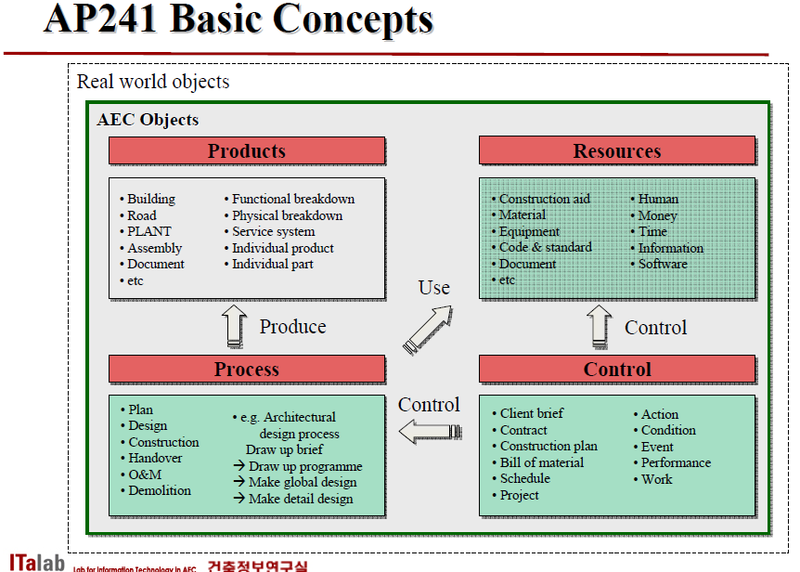 A recent paper, Generic AEC/FM Model: ISO 10303 AP241 at ISO TC184/SC4, 2008, Inhan Kim, KyungHee University, addresses the topic of facilty management information interoperabilty quite well. 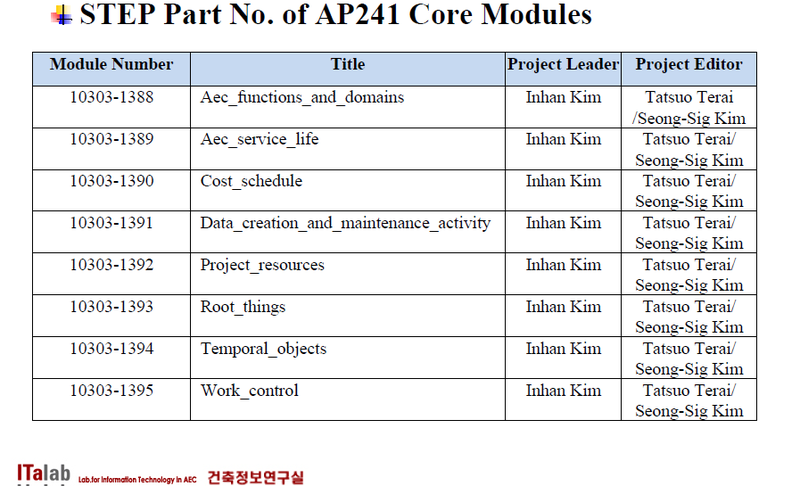 The paper proposes a “new” model structure to represent facilities and their maintenance history based upon the AP241 core model. 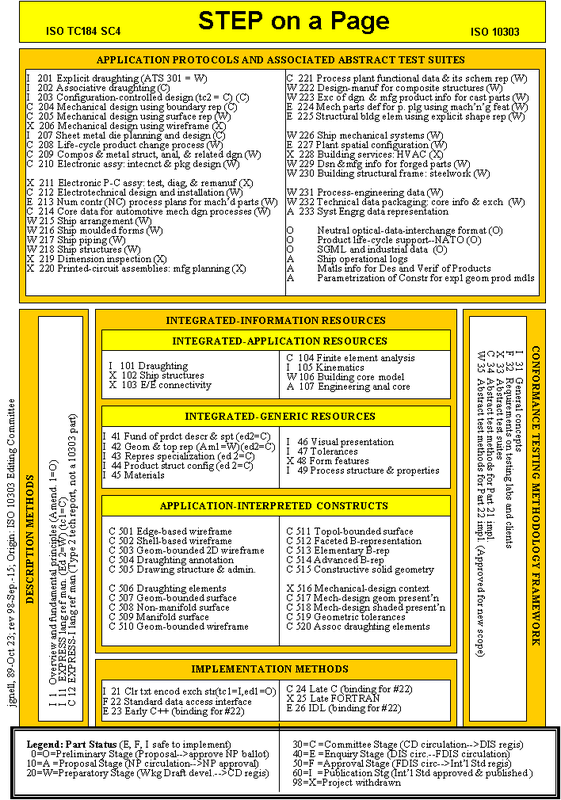 Data interoperability requires using neutral data formats and reference data libraries. An example of the latter would be reference cost data standardized via UNIFORMAT, MASTERFORMAT, COBIE, and OMNICLASS. Longer term data archiving vis Open Standard STEP and STEP based Model Servers. Combining the above with life-cycle “standards” and “metrics” such as the FCI (facilty condition index) and unit/system/ and sq.ft. life expectancy and cost data also help in the path toward the maintenance and reuse of historical facility information. 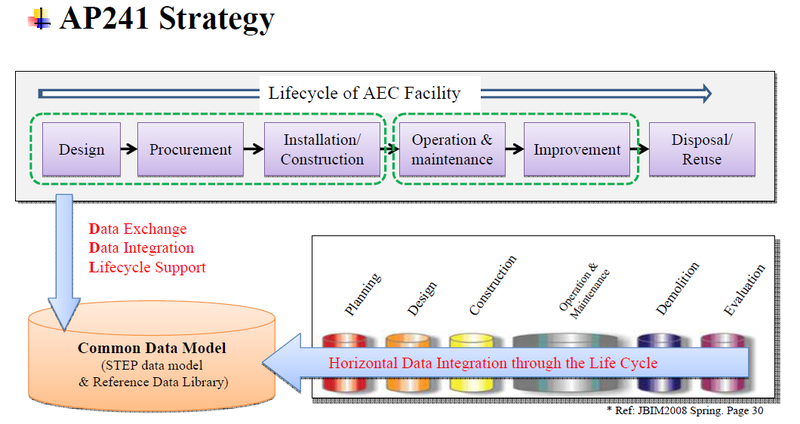 Spatial structure of the AEC facility; Location of the elements that constitute an AEC facility; Making use of shape representation including two dimensional and three dimensional representations;General representation of properties; Classification of the elements and properties; Change Management; Association of approvals;Association of constraints; Maintenance and feedback of operational information concerning the AEC facility. What is STEP? 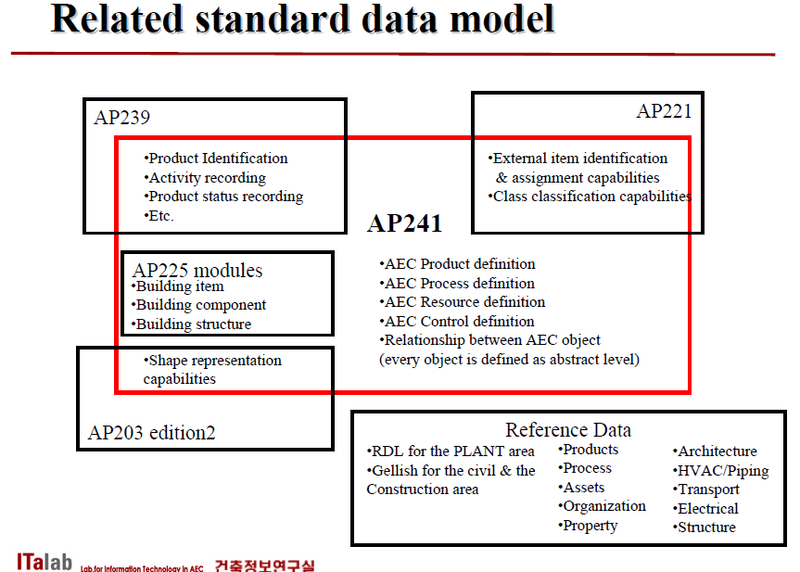 STEPsi the standard for the exchange of product model data based upon a series of ISO standards – ISO 10303. SEPT is intended to provide a mechanism that describes a complete and unambiguous product definition throughout the life cycle of a product, independent of any computer system. via www.4clicks.com – Premier cost estimating and project/contract/document management software for JOC, SABER, IPD, SATOC, MATOC, IDIQ, MACC, POCA, BOA.